Assistant Governor Dave Palmer was a guest at our March 28 Rotary Luncheon. Dave reminded everyone about District 7410 Conference on Apr 5-6 in Scranton. He also promoted the 12th annual Northeast Golf Tournament on June 3 at Stonehedge Country Club hosted by the Trail and Forest City Rotary Clubs. 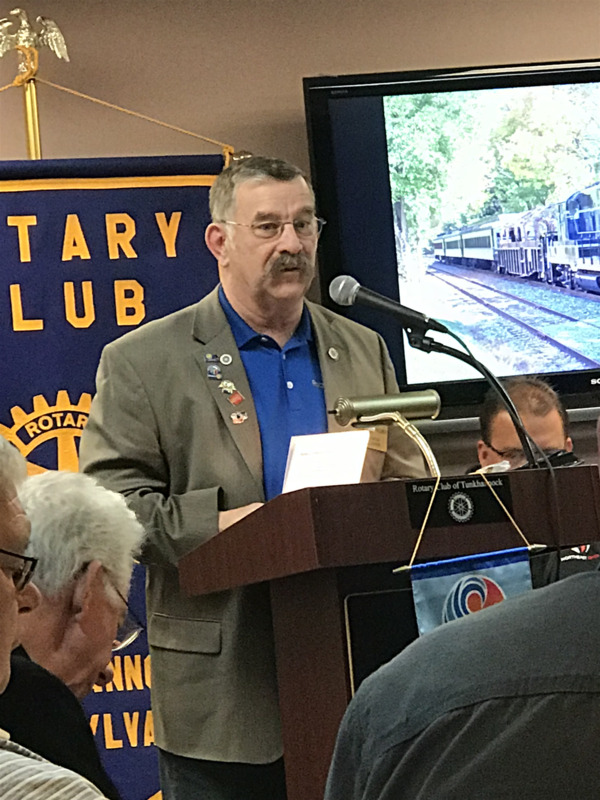 Finally, Dave asked for members to consider volunteering for a time slot to man the Rotary Booth at the upcoming Hartford Fair. Volunteers will work 4 hr shifts so they therefore need 18 volunteers. Volunteers will get a free pass to the Fair and parking is free if you volunteer. It is an opportunity to attract new members and raise awareness around Rotary’s polio eradication efforts.